Lofoten Gårdsysteri is the very first and at the same time the most northerly located farm that we visited for ‘Future Farmers in the spotlight’. We were warmly welcomed by the two actually Dutch Marielle (40) and Hugo (41) Vink and their two sons Gerbrand (13) and Thomas (10). 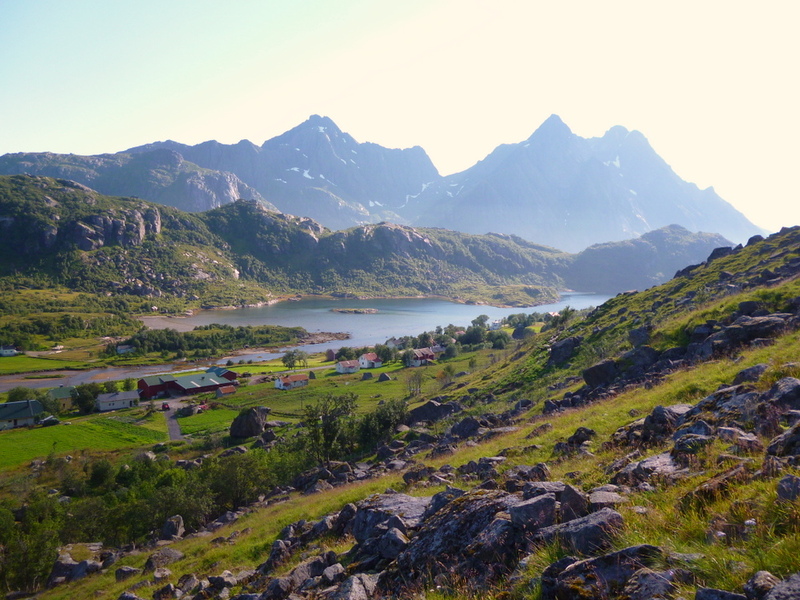 Lofoten Gårdsysteri is a bio-dynamic farm which is beautifully located in between mountains and the fjord close to the coast in Saupstad, Lofoten. Marielle and Hugo run the farm since 12 years. They keep 140 milk goats (a mixture of Norwegian and French alpine) which are led free in the morning after milking to disappear into the ‘utmark’, large communal lands shared by the adjacent farmers. Only at the end of the day when it is time for the second round of milking they are back wanting to go into the stables. In total the goats produce about 110 tons of milk of which 20 tons are used for cheese making and 90 tons are delivered to TINE, the Norwegian farmers’ cooperation that is co-owned by Norwegian supplying dairy farmers. TINE has obliged itself to collect all milk from all dairy farms in Norway, regardless of the farm location or the quantity produced. More about TINE here. Marielle and Hugo make a variety of pure and non-pasteurised cheeses (from young to old, with and without herbs, feta and a mixture of cow and goat cheese). Further they make goat sausages and sell also the meat of the goats. Most of their produce is sold in their gårdsbutikk (farmshop) and in local supermarkets. ‘Organic’ has only in recent years gained recognition, local produce is much more known by the population. Hugo and Marielle studied tropical land management in the Netherlands and becoming a farmer was therefore not a logical step. For one month they went to Norway to help a farmers-friend with making hay. They liked the farmers’ life so much that they decided to stay longer. After three years of working on several farms – usually for landlords who inherited a farm but actually did not live there – they decided that it was time to buy an own piece of land. They did not have enough money to afford buying a farm or land in Norway and none of the conventional banks wanted to give a loan. Only the recently established ‘green’ Cultura bank agreed to lend out money if Marielle and Hugo would find at least 10 people (of which 5 in Norway) who could act as guarantor for the amount of 100,000 Norwegian kroner (= about 15,000 Euros). It worked and this beautiful farm could be established. The 12 hectares of land which belong to the farm (plus 12 ha on lease) is diverse. It consists of hilly slopes, flat lands and moraines and has a wide variety of soil textures. To improve the fertility and structure of the land Marielle and Hugo produce compost based on a mixture of goats manure and seaweed which is collected from the nearby beach. At some days huge amounts of weeds wash ashore. After a few days of rain the salts are partially washed out and the weeds can be collected. Also the grass-clover mix in combination with barley is important for the quality of the soil. The six-rowed barley partly covers the concentrated feed needs of the farm. The grass-clover mix which is broken up every six to seven years is harvested as silage. In the first years the grass-clover had to be inoculated with Rhizobium bacteria to stimulate the N-fixing capacity of the clover. Beautifully green and productive grasslands have evolved which are honourably mentioned by the conventionally farming neighbours. 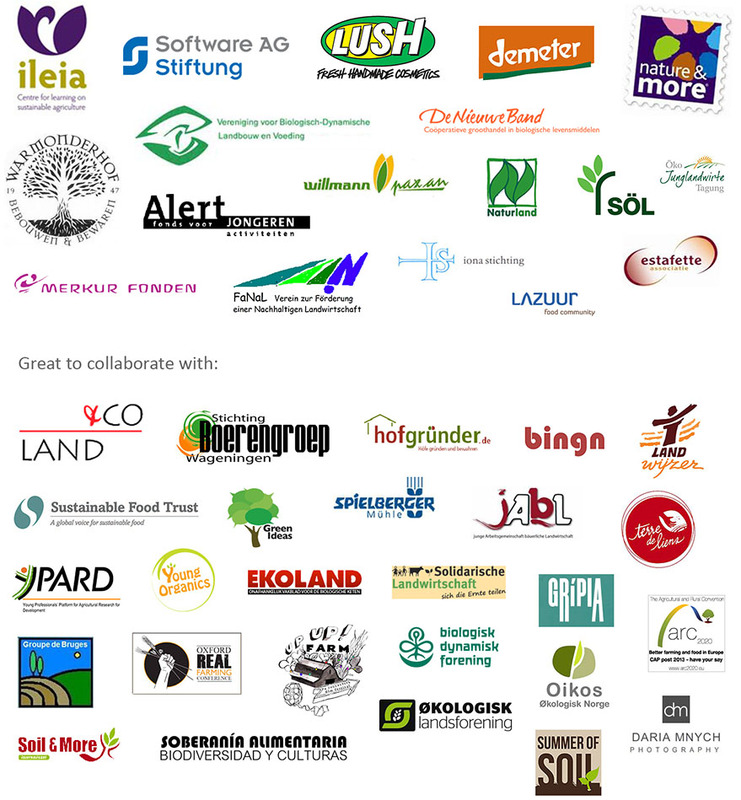 We very much thank Marielle, Hugo, Gerbrand and Thomas for welcoming us so warmly and for supporting us with the project! 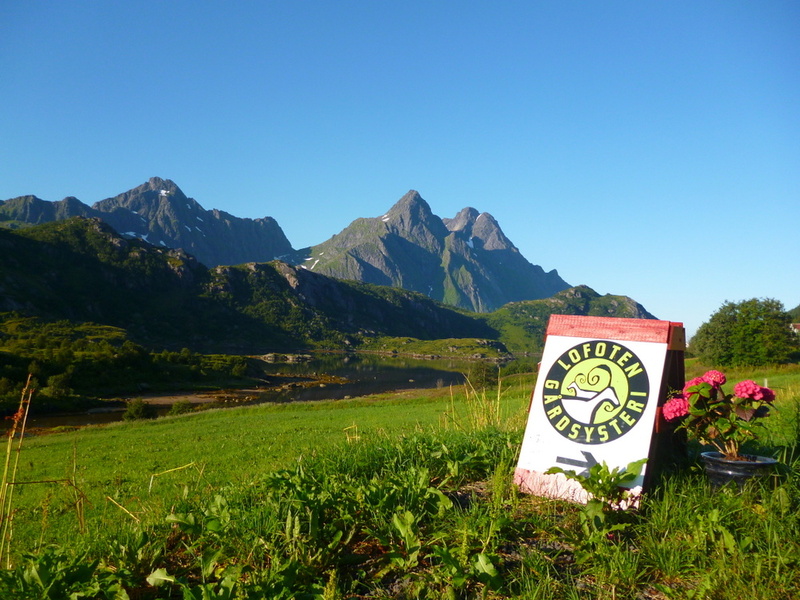 More about Lofoten Gårdsysteri at: http://www.lofoten-gardsysteri.no/ and https://www.facebook.com/lofotengardsysteri.